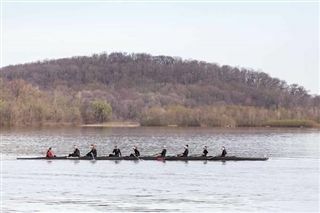 Loyola Academy participates in 34 different sports, offering students a chance to play on over 80 different teams. Upgrades to the Foley-O'Donnell Athletic Commons in Wilmette, our 60-acre Theodore G. Munz, SJ, Campus in Glenview, our two gymnasiums, pool, upgraded wrestling room and state-of-the-art Steger Family Strength Training Room demonstrates our commitment to our Rambler athletes. On Wednesday, April 3, the boys’ varsity volleyball team celebrated faculty and staff appreciation night in the East Gym. 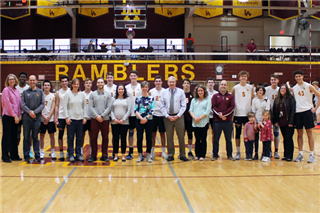 Teachers were honored at center court before the start of the match when the Ramblers took on the Wildkits of Evanston Township High School. 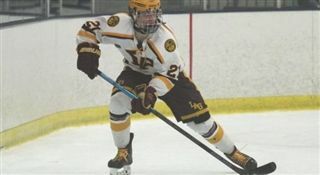 Loyola Gold senior Eamon O'Brien was named the JJ O'Connor 2019 High School Player of the Year by the Amateur Hockey Association Illinois (AHAI). He was honored during Loyola Gold's state title game vs. New Trier Green at the United Center on Friday, March 22. The Misericordia Sweet Shoppe in Glenview hosted Coffee with the Coaches on Saturday, March 30. 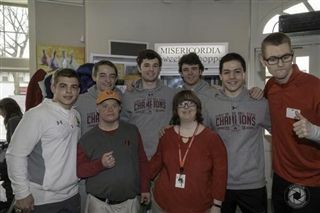 Head Football Coach John Holeck, the 2018 IHSA Class 8A State Champion Football Team, Kansas City Chiefs Center and Loyola alumnus Jimmy Murray ’13 and Associate Athletic Director Mark Carrier spent the afternoon with Misericordia residents and volunteers. 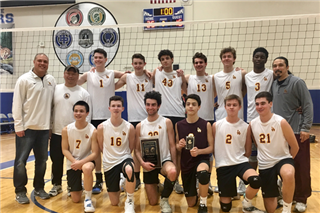 Congratulations to the boys' volleyball team on winning the Vernon Hills Invitational! Jack Howard ’19 was named MVP and Ryan Merk ’21 was selected to the all-tournament team.